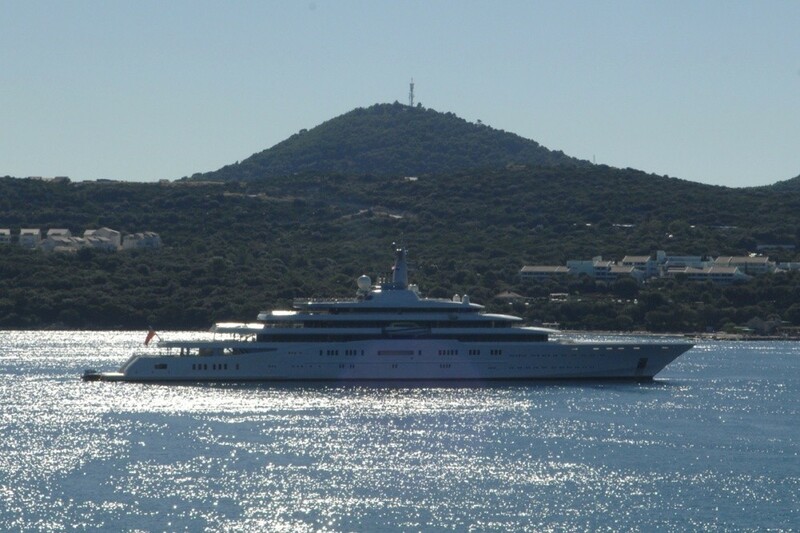 The ‘Eclipse’ mega yacht owned by Russian businessman Roman Abramovich has returned to the waters of Dubrovnik. It is not known whether Mr. Abramovich and his girlfriend are currently aboard the yacht worth 1.2 billion dollars. Eclipse measures 165 metres in length making it the largest yacht in the world in private ownership, currently anchored off the island of Daksa.